Susan Delaney has been handmaking English Toffee during the holiday season for family and friends for over 30 years. The response is always the same. People tell her that this is the best toffee they have ever tasted. 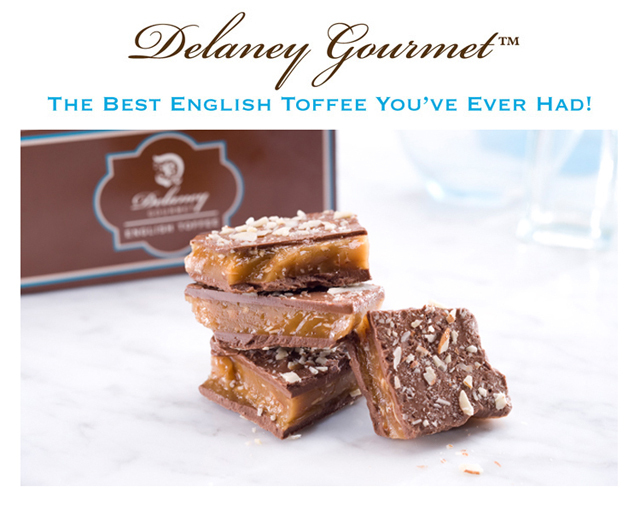 Delaney GourmetTM English Toffee is finally available to order online all year long! Each batch is made with loving care from the finest ingredients, hand broken and packaged. One bite and you'll be hooked! Enjoy!